When it comes to owning and operating a business, not only is it important to ensure that all of your financials and tax information is in order, but there are a number of operations you want to make sure are in order at the end of each year. Forgetting even one of these important tasks could set your business back. If you are in the process of forming a business, and you are interested in incorporating or forming a limited liability company (LLC), you may want to work with your attorney in considering delayed filing, which allows you to set an “effective on” date in the near future that is realistic for your plans. And if, conversely, you are dissolving your business, remember that you need to work with an attorney to file your Articles of dissolution with the Secretary of State in order to ensure that certain obligations, such as paying state fees and taxes, cease. 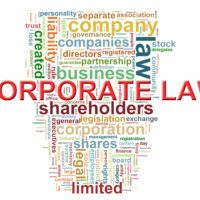 If you are already incorporated, perhaps you are thinking of changing your legal structure, to a sole proprietorship, an LLC or S Corporation, etc. Your business law attorney can help advise you and answer any questions you may have to help you figure out which direction you want to go in. Also make sure that you meet with an accountant and/or bookkeeper as well to go over financial statements, ask any questions, and form a plan for filing taxes this spring so that you are ready and know what to expect regarding deductions and other important business matters. This meeting may also make you realize that there are some “loose ends” that need to be tied before taxes are filed, such as revisiting your inventory and/or coming up with a new business strategy for the coming year; a strategy that perhaps includes updating your social media presence and/or reviewing and revising your business plan. If you are preparing to hire new employees, you will need to gather certain documents in preparation of this process, such as documentation related to your employer identification number, Form I-9, tax withholdings, workers’ compensation insurance, and documents related to reporting new hires to the state. If you already have employees, you may also want to schedule your year-end reviews and update them about any upcoming changes associated with the day-to-day business operations. This will also give you a chance to review 2018 and your failures and accomplishments with your team. At HD Law Partners, our Tampa business law attorneys have the experience and legal know-how to ensure that you and your business are on-track for 2019. 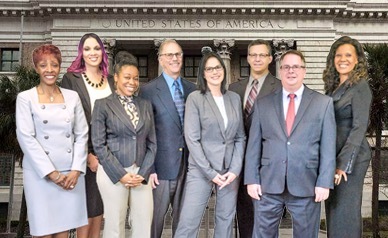 Contact us today to find out more about our services—our corporate lawyers serve clients in Tampa, Sarasota, Orlando, and surrounding areas.